The Internet Age is the Golden Age for all web design providers. As the demand for online visibility increases, more and more designers are encouraged to offer their services equipped with the latest technologies applicable to website designing and the much-needed know-how. With the abundance of providers, you, as website owners, are given the opportunity to work with the bests of them at a reasonable price. More often than not, web designers are given the chance to decide on every little aspect of the design and functionality of the site. This is good since web designers are considered experts in this field and know better which will work and which will not . 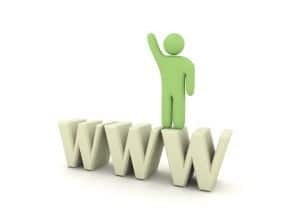 The bad news is, increased dependence on your web designers may not be good for you as the website owners. Learn how to run, update and modify your site the easy way. Useing a Content Management System (CMS) and becoming your own website’s master. Creative Marketing for CMS. Creative Marketing believes that a great factor for online success is through empowering website owners to actively participate in the conception and daily operations of their websites. We, therefore, encourage all our clients to collaborate with us in designing the overall website concept. Creative Marketing also promotes the use of CMS. Content Management System allows users with little knowledge of web designing and programming to create and manage website contents easily. It comes with relatively user-friendly features like automated templates, easily editable contents, and scalable feature sets. With CMS, you need not holler for your web designer for every single little thing that you want to be done. You can make your own updates and modification minus the costs that you could have incurred. Creative Marketing has designed web packages that are inclusive of CMS. These packages are specifically created to match your needs and resources. We can assist you in making beautiful, sophisticated, and SEO-friendly sites at a reasonable cost. Creative Marketing also takes one step forward by providing trainings on how to manage your websites on your own.